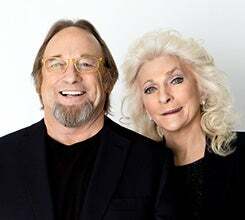 Known as part of Crosby, Stills & Nash, Stephen Stills met Judy Collins (and her piercing ocean blue eyes) 50 years ago. Their tumultuous love affair would later be immortalized by Stills with his composition “Suite: Judy Blue Eyes,” performed by Crosby, Stills & Nash on their landmark debut. This summer, the two icons of folk will celebrate the golden anniversary of their formative time together. Recognized for his work with Buffalo Springfield, Crosby, Stills & Nash, and his solo work, Stills is best known for the hits “For What It’s Worth” by Buffalo Springfield and “Love The One You’re With” from his solo debut. He’s a multi-instrumentalist and composer, and was ranked #28 in Rolling Stone’s “The 100 Greatest Guitarists Of All Time.” He also has the distinction of being the first artist to be inducted into the Rock & Roll Hall of Fame twice in one night (for his work with CSN and Buffalo Springfield). Collins is known for her eclectic palette as a solo artist, melding folk, rock, classical, and jazz into a singular aesthetic. She’s earned a Grammy® award and been nominated for four more. Her stunning rendition of Joni Mitchell's “Both Sides Now” from her landmark 1967 album, Wildflowers, was entered into the Grammy Hall of Fame. Her dreamy version of “Send in the Clowns” won "Song of the Year” for Stephen Sondheim at the 1975 Grammy Awards. This joint tour marks the first time Stills and Collins have been onstage at the same time. 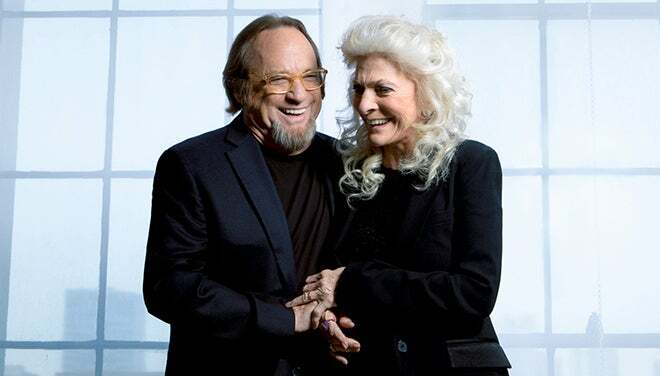 For this once in a lifetime experience, the two music legends will pull from their rich catalogs, debut songs from their upcoming album, and share warm and intimate stories from their journeys and the 1960s folk and Laurel Canyon scenes they helped build.